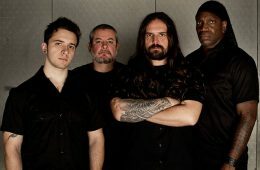 Metalpaths caught up with Sepultura's heart and soul Andreas Kisser who was very open to answer our questions about the new album, touring, the band's legacy and future plans. 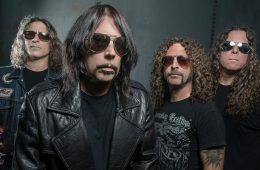 There is no doubt that if there is a band that knows how to rock, it's Monster Magnet! For more than two decades now, their music still travel us to outerspace and further more to the most bizarre, psychedelic galaxies. This time, the Monster has scheduled another trip for us through its brand new "midnight record", as Dave Wyndorf likes to call it; "Last Patrol". 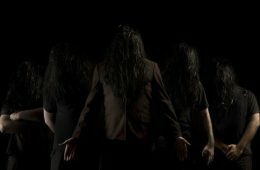 Nader Sadek: The all-star Death metal band that made a great debut album "In The Flesh" 2 years ago and released the DVD "Living Flesh" some time ago. 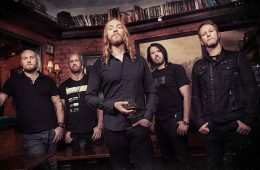 Metalpaths had the chance to talk with Nader Sadek himself (lyricist) and Rune Eriksen (a.k.a. 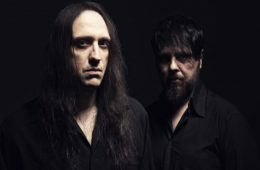 Blasphemer, ex-Mayhem guitarist) about this release and the band in general...by John Savvidis Hello Nader! You are well known for being the live show partner of Mayhem over the past years. So tell us more on how you alongside with Rune "Blapshemer" Eriksen, Flo Mournier (Cryptopsy), Steve Tucker (ex-Morbid Angel) and Novy (ex-Vader) met and decided to form a band under your name: Nader Sadek That's the problem and the biggest misconception of this porject, this wasnever a band. Unfortunatley it had to be marketed as such. However, there is no band by the name Nader Sadek. Nader Sadek is just me, the project starter, if you will, among many other things of course, the whole project was my vision. I had picked each musician for a very specific reason. At first all the musicians were skeptical as they were at the time not fans of each others bands. 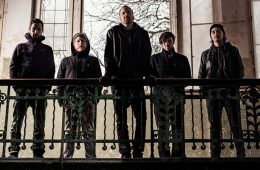 Dasding conducted an interview with the British metalcore act BRING ME THE HORIZON on June 7 at the Rock Am Ring festival in Nürburgring, Germany. You can now watch the chat below. 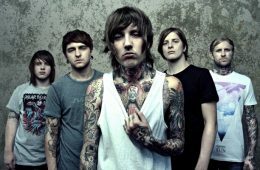 BRING ME THE HORIZON's fourth album, "Sempiternal", sold 27,000 copies in the United States in its first week of release to land at position No. 11 on The Billboard 200 chart. The CD arrived in stores on April 2 viaEpitaph. BRING ME THE HORIZON's third CD, 2010's "There Is A Hell, Believe Me I've Seen It. There Is A Heaven, Let's Keep It A Secret", opened with 20,000 units to debut at No. 17. The album also entered the official chart in the U.K. at position No. 13. 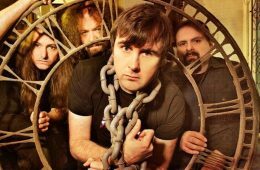 Less than a month before their upcoming performance in Greece and Heavy By The Sea Festival, Metalpaths grabs the chance to talk with Mark "Barney" Greenway; the vocalist of the legendary pioneers of extreme metal Napalm Death.